I returned to Hickory Ridge Farm for another portrait session. It was three weeks since my last visit to the farm and what a huge change in the weather! Last time, we had golden leaves and a little cool air. This time, we had bare trees and an arctic blast! But our participants were game and the horses were fun as always. 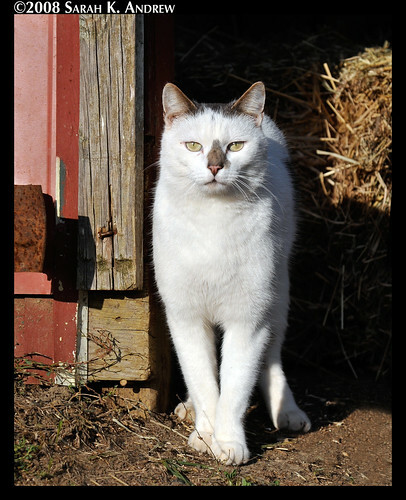 And Ghost the Barn Cat got in on the action and posed for a few frames. First up was Echo, a Quarter Horse gelding. Though the winds blasted through the trees, he stood his ground and posed gamely. I love his expressive eyes. I had a special request for a customer favorite that I take, a portrait of a horse with a black background. 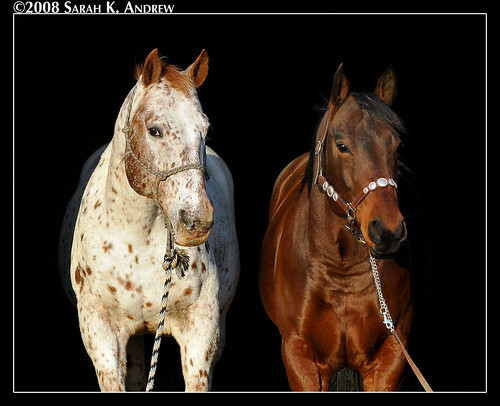 But this time, it was TWO horses: Shiloh, a smart and sassy Quarter Horse mare, and Lakota, a versatile and easy-going Appaloosa gelding. They were veterans of the process and stood like they were models in Horse Illustrated. I get a lot of inquiries about this type of photo. Many photographers think that the image is manipulated and the background is replaced- that would be much more difficult than what I do! I stand the horse in a barn entrance, set the exposure, and shoot. I do remove distracting windows or beams but the photo is not very different from what comes out of my camera. 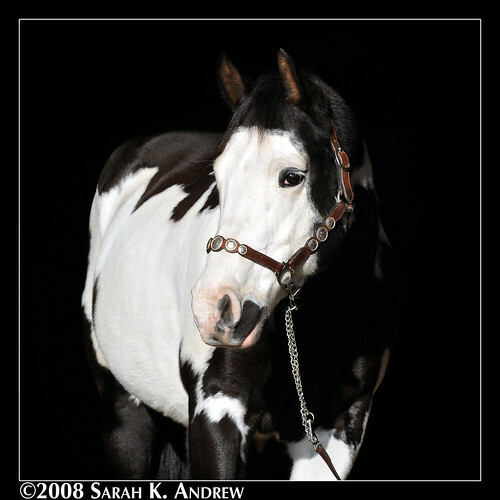 Then I met Cisco, a black and white overo Paint gelding. He’s another versatile guy. He must have had some halter training at some point in his life, because he squared up his feet and posed beautifully for every shot. 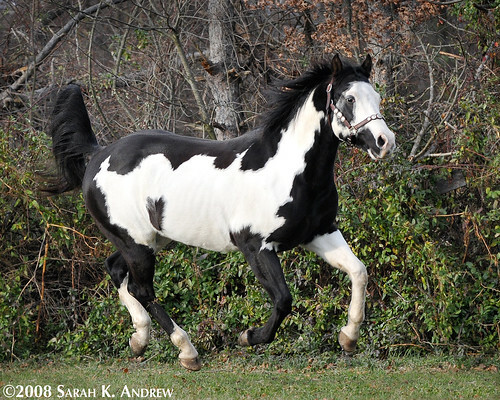 He also floated around the paddock when we did our liberty shots. He was actually more animated than expected, because he heard a loose horse headed our way from the nearby state park. It was a chilly but fun day- horse people are a hardy bunch! I came across your site looking to learn how to get these horse pics with black background. You say you stand them in a barn entrance and set your exposure. What exposure settings do you use. 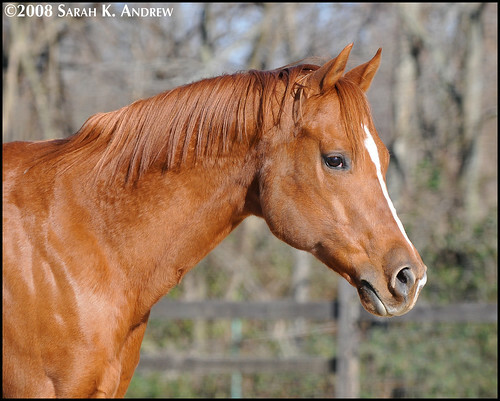 I recently purchased my first DSLR camera and really would love to be able to get these nifty shots of my horses. Thanks for any info! Your pics are great. Congratulations on your new camera, Carolyn. I’d recommend reading your camera manual from cover to cover- it will have all the information you need to learn proper exposure. Also, practice with an inanimate object before working with horses. That way, you can focus on your own work without worrying about the subject. As the light changes, the exposure changes, so there is no one particular setting for these types of photos. Happy shooting!